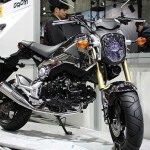 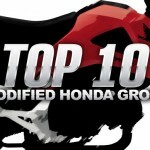 When Honda first announced the Grom, some observers said it looked a bit like a tiny Ducati Monster. 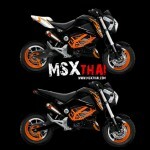 If you didn’t see the resemblance at first, you might now with the Mini Monster conversion from Thai shop X-Speed. 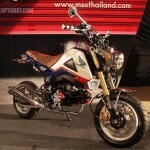 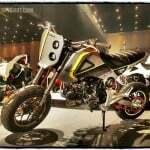 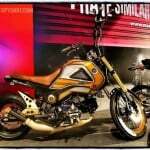 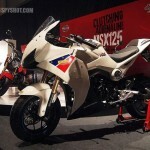 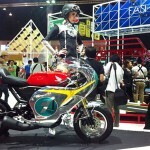 Unlike the Duke look-a-like in the ten-spot, the Mini Monster MSX125 is actually being made. 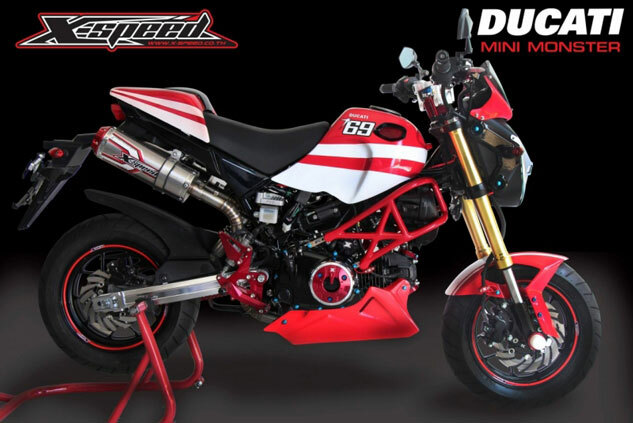 Additions include a false steel trellis frame, a belly pan, fly screen, undertail exhaust, various red hard parts and a Nicky Hayden tribute red and white graphics.